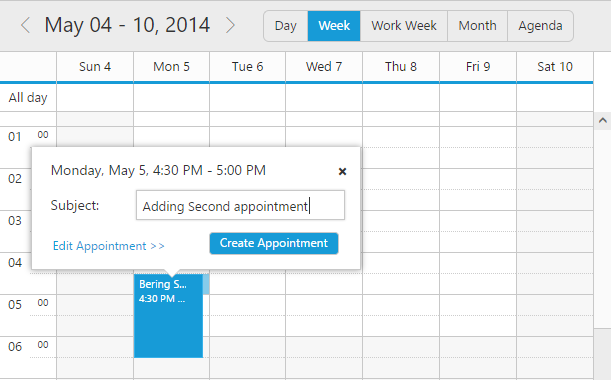 How to limit the appointments per slot? The following steps shows the way to limit the appointments per slot. Step2: Define the beforeAppointmentCreate event function OnBeforeAppointmentCreate as shown below, where the rendering of more than one appointments in the same slot will be prevented. Step3: Run the above sample and no two appointments can be rendered in the same time range. Figure 1: Adding second appointment in another appointment range. 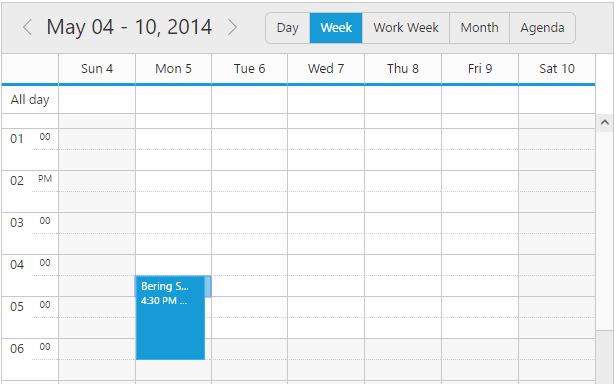 Figure 2: Second appointment is not rendered, due to the presence of existing appointment in that time cell.